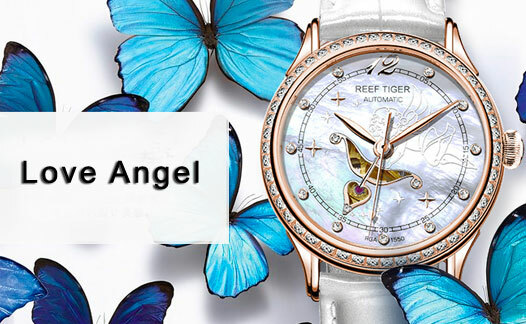 To express strong feeling of love, Angel watch is adopted polished Mother of Pearl dial, each one is unique. Full hand polished ensures it shining and transparent. Bow and arrow part is used CNC polish process and brush mosaic process. It is vivid and flexible. To match the feminine beautiful temperament, Angel watch is just with a case of 10.5mm. Ultra-thin watch could be completely fit the wrist; it would be worn very comfortably. 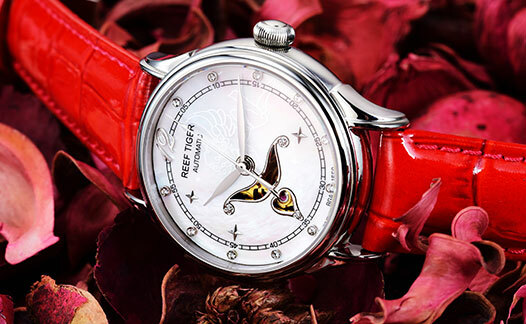 Angel watch is with a slender special lug design and inlaid diamonds. Unique shape makes it not just one watch, but also a perfect jewelry which is to bring you glory. Being hit by Cupid’s arrow means fall in love. 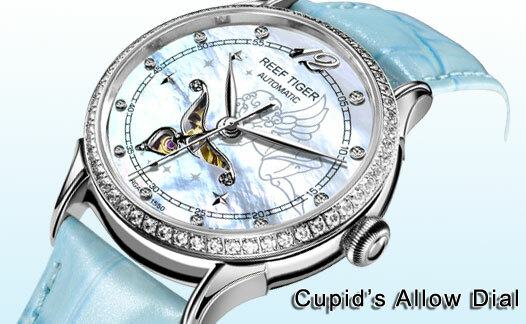 Designers of Angel watch use cupid to convey the arrival of love, the Arrow of Love, means the wonderful things are coming. Diamonds mosaic design is used for all watches, which is brilliant and dazzling. Swarovski diamond elements cover with entire watch. Watch case, lug and even buckle are inlaid diamonds, very fashionable and luxury. To match the variety of case design, the straps of Florilege watches also use colorful creativeness, red, blue, white and black like flowers blooming in profusion in spring. There is always one item to fit you.